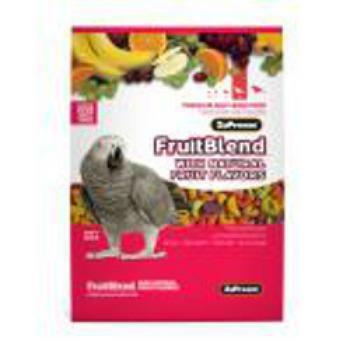 Premium Nutritional Products is recalling ZuPreem FruitBlend With Natural Fruit Flavors maintenance formula bird foods for medium/large birds and for large birds with use by date codes of 11/30/13 or 11/13 and lot numbers 598405052 or 598405072. 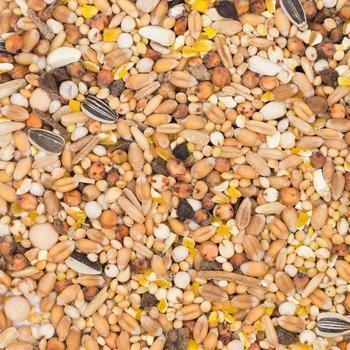 The product contains the combination of exceedingly high calcium levels, low phosphorus and high vitamin D concentration resulting in a significant health risk to the birds. Consumption of food from these particular lots may make birds sick and, in some cases, may be fatal. Symptoms include decreased activity level or appetite, increase in water consumption or watery droppings. Customers whose birds exhibit these symptoms should immediately contact their veterinarian. The products were shipped by the company between 5/21/12 and 8/23/12 for distribution nationwide through pet retailers, veterinary clinics, on line pet supply merchants and to breeders and zoos. The company reminds bird owners to check the expiration dates and lot numbers of any product they may still have in their possession. Consumers should dispose of any remaining food and return the packaging to the store where they purchased it for replacement or refund. For additional information, consumers may contact the ZuPreem Customer Service line at 1-800-345-4767 (Monday through Friday 8 AM – 5 PM Central Time). Bumble Bar is recalling certain lots of Gluten Free Café Chocolate Sesame Bars and Gluten Free Café Cinnamon Sesame Bars associated with Sunland peanut products because they have the potential to be contaminated with Salmonella. No illnesses associated with any of these products have been reported to date. The recalled products were distributed nationwide from June, 2011 to October, 2012, and exported primarily to retail stores, and through Internet orders. Consumers who have purchased any products covered by this recall should destroy them or return them to the retail store where purchased for a full refund. Consumers with questions may contact the company at 1-800-434-4246 during extended hours from today through Friday from 9 am to 9 pm EDT. After hours and weekend calls will be monitored and returned promptly. Tropical Valley Foods is alerting customers that because of a label error, Dark Chocolate, Organic Dark Chocolate and Trail Mix items which were sold in bulk quantities contain undeclared allergens. Consumers who have an allergy or severe sensitivity to wheat, soy or tree nuts run the risk of serious or life-threatening allergic reaction if they consume these products. The products were shipped to distributors and retailers in California, Colorado, Connecticut, Florida, Georgia, Illinois, Iowa, Maine, Maryland, Massachusetts, Michigan, Minnesota, Montana, Nebraska, New Hampshire, New Jersey, New Mexico, New York, North Carolina, North Dakota, Ohio, Oregon, Pennsylvania, South Carolina, South Dakota, Texas, Vermont, Virginia, Washington, Wisconsin, Quebec City, Hong Kong and Dubai UAE. This recall was initiated after an inspection found that Dark Chocolate, Organic Dark Chocolate, Milk Chocolate and Trail Mix bulk items had undeclared allergen information on the bulk labels. The products were shipped from Tropical Valley Foods from 09/26/2011 through 09/25/12. Customers who purchased these products may return to the store for the correct allergy information. Consumers with questions may contact Tropical Valley Foods at (518)-314-7162. Monday – Friday; 9:00 am – 5:00 pm EST. The First Amendment gives citizens very broad rights to publish information about other citizens, about the government and about private companies. While publishers may later face civil lawsuits for slander and defamation, it is very unusual for courts to bar publication in advance -- a practice known as prior restraint. No such protection applies to government agencies, however. After all, the First Amendment and the rest of the Bill of Rights were written to protect against government, not to protect government itself. This does not stop goverment agencies from acting as publishers, but it puts them in a shaky position when challenged, as the Consumer Product Safety Commission (CPSC) is learning, now that a federal court has sealed all details of a lawsuit filed by an anonyous company against the agency, preventing the public from learning not just the details of the lawsuit, which concerns an injury allegedly caused by a defective product but also seals from public view the name of the company involved. "Interestingly, although the CPSC has no First Amendment rights in this situation, it's the public and the press who will exercise those rights to vindicate the CPSC's interests," said Cameron Stracher, a New York City attorney who represents ConsumerAffairs and other publishers. The court’s opinion, released earlier this week with key portions blacked out, indicates that the case, originally filed in October 2011, was decided in the company’s favor more than two months ago after nine months of proceedings conducted out of public view and without opportunity for public participation. The unusual secrecy -- more befitting a classified military document than a product liability case -- is bringing howls of protest from consumer organizations, including Public Citizen, Consumer Federation of America and Consumers Union, which are appealing the decision. The decision not only prevents the public from seeing the company’s name and relevant court findings, it also bars the CPSC from posting to its online consumer complaint database the report of consumer injury about which the company sued. The CPSC’s searchable online database, available at www.saferproducts.gov, was launched in March 2011 to provide consumers with information about potentially dangerous products after a spate of product recalls. Nearly 9,000 reports had been filed as of June 2012. Privately-operated publishers, like ConsumerAffairs, display hundreds of thousands of consumer reviews and complaints. Although lawsuits have occasionally resulted from publishing such complaints, no court has ever restrained publication by ConsumerAffairs in advance. Although settlements of such suits are sometimes sealed, the initial proceedings remain public, a ConsumerAffairs official said. The CPSC database is modeled after databases on the websites of the National Highway Traffic Safety Administration, created in 1996 to provide access to consumer complaints about automobiles, and the Food and Drug Administration, also available since 1996, which describes adverse event reports made by hospitals, manufacturers and others about drugs and medical devices. The CPSC is required by law to post consumer complaints within 20 business days of receiving them. Before complaints are posted, the product manufacturers are notified and given a chance to respond. If the information submitted is shown to be untrue, the complaint is corrected or removed from the database. “The CPSC database is a critical tool for informing consumers and consumer advocates about potential safety concerns related to a wide variety of products,” explained Ami Gadhia, senior policy counsel for Consumers Union. Wildwood Seed & Specialties of Monroe, OR, is recalling a limited supply of its Sleek and Sassy brand bird and small animal foods that contain raw in-shell peanuts. These products contain peanut ingredients recalled by Sunland due to their potential to be contaminated with Salmonella. The potentially affected lots of Sleek and Sassy brand pet foods were distributed to retail pet food stores in Oregon and Washington, primarily through pet specialty retailers. N/A - Product is not manufactured for this size container. Consumers who have purchased the above lots of Sleek & Sassy brand are urged to stop feeding them and return product to place of purchase for a full refund or dispose of them immediately. For further information about the recall please call 541-847-6126 from 10:00 AM to 4 PM PST Monday through Friday. Tricam Industries of Eden Prairie, MN, is recalling about 84,000 Easy Reach step stools because the top step/standing platform can break, posing a fall hazard to consumers. The company has received five reports of the standing platform breaking, one of which included a report of scrapes and abrasions to a consumer. 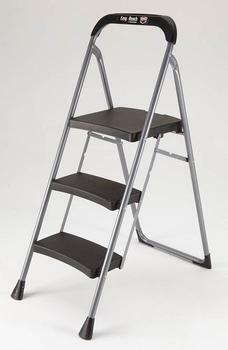 The recalled products are Easy Reach by Gorilla Ladders 3-Step Pro Series step stools, model number HB3-PRO. The step stools have three plastic steps, a steel tubular frame and a plastic-molded tool holder. The model number is located on the underside of the middle step on a blue label. The label also states that the step stools are rated to support 225 lbs. Recalled step stools have a "J" stamped into the underside of the top step and/or the underside of the tool holder. The stools, manufactured in China, were sold exclusively at The Home Depot from April 2012 through August 2012 for about $27. Customers should immediately stop using the recalled step stools and contact Tricam Industries for a full refund. Consumers may contact Tricam Industries toll-free at (855) 336-0360, 8 a.m. to 5 p.m. CT Monday through Friday. HatsanUSA of Bentonville, AR, is recalling about 2,400 Hatsan Striker air rifles. The air rifles can fire unexpectedly when closing the action during the cocking process. The company has received one report of an air rifle that unexpectedly discharged while a consumer closed the action during the cocking process. No injuries have been reported. The recall involves Hatsan Striker air rifles that shoot pellets. The air rifles are available in three styles: black with a gray forearm grip and gray rear grip; camouflage with a black forearm grip and black rear grip; and, brown hardwood with crosshatching cut into the forearm grip and rear grip. They measure 43 inches in length. The air rifles have a black scope and a front sight and a rear sight. “Striker” is printed on the top of the gun’s barrel behind the rear sight. Serial numbers of recalled rifles begin with one of the following sets of numbers: 0511, 0811, 0911, 1011, 0112, 0212, 0312, or 0412. The serial numbers are printed on the air rifle’s barrel block on the left side just in front of the rear sight. The rifles, manufactured in Turkey, were sold at: Dunham’s Sports, Sportsman’s Warehouse and other sporting goods stores and gun shops nationwide and online and catalog sales including Airgun Depot, The Sportsman’s Guide and Pyramyd Air from November 2011 through July 2012 for between $100 and $130. Consumers should stop using the recalled air rifles immediately, make sure they are unloaded and contact HatsanUSA for a free replacement air rifle. Consumer may contact Hatsan toll-free at (877) 278-4448 anytime. Dorel Juvenile Group of Columbus, IN, is recalling about 97,000 Eddie Bauer rocking wood bassinets. The bottom locking mechanism can fail to lock properly if a spring is not installed, allowing the bassinet to tip to one side and causing infants to roll to the side of the bassinet. This poses a suffocation hazard to infants. The company has received 17 reports of incidents with the recalled bassinets involving infants primarily younger than three months old. In two of the incidents, infants were reported to have had breathing difficulties after they rolled into the side of their bassinets. The bassinets have a dark brown wooden headboard and footboard and a cotton bassinet that comes in a variety of colors and patterns. "Eddie Bauer" is printed on a metal plate on the bassinet's footboard. 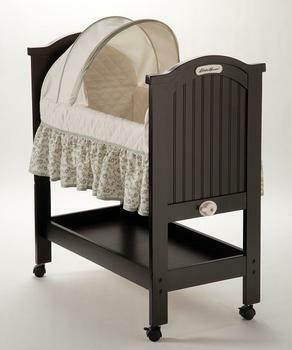 These bassinets have a dial at the base of the footboard that locks and unlocks the rocking motion of the bassinet. Recalled bassinets have the following model numbers: 10632, 10639, 10832, 10835, 10839 and BT021. The model number is located under the mattress, on the top surface of the mattress support board or on the wash and care label. The product, manufactured in China, was sold at Target, Toys R Us and Sears stores nationwide and online at eBay and other Websites from December 2007 through January 2011 for about $150. Consumers should stop using the recalled bassinets immediately and contact Dorel to obtain a free repair kit, which includes a spring and new instructions for assembly. Consumers may contact Dorel toll-free at (877) 416-0165, 8 a.m. to 5 p.m. ET Monday through Friday. The door can disengage from the overhead track, posing an impact hazard. 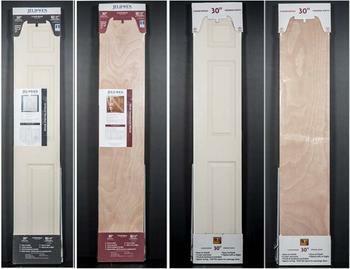 JELD-WEN of Klamath Falls, OR, is recalling nearly 171,000 JELD-WEN and Reliabilt Interior Bifold Doors. The door's lower pivot pin can break causing the door to disengage from the overhead track, posing an impact hazard. The company says it is aware of 12 incidents of broken pivot pins causing the bifold doors to disengage from the overhead track -- including three incidents involving minor injuries. The doors, manufactured in the U.S., were sold at Home Depot, Lowe's and other building products retailers between February 2011 and March 2012 for about $40 to $80. Consumer may contact JELD-WEN toll-free at (877) 228-4888 between 7 a.m. and 6 p.m. CT Monday through Friday. 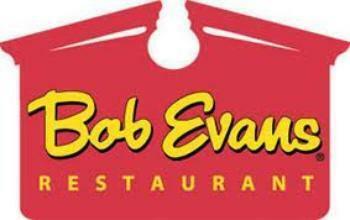 BEF Foods of Columbus, OH, is recalling approximately 1,768,600 pounds of Bob Evans Maple Links and Maple Patties because they are misbranded in that they contain monosodium glutamate (MSG), which is not declared on the label. The products were produced in Hillsdale, MI and Xenia, OH, between April 4, and Oct. 19, 2012, and have the establishment number “M-952” or “M-6785” inkjetted on the side of the package. Product purchased fresh will have a use-by date between Oct. 14, 2012, and Dec. 4, 2012, listed. Instead of a use-by date, frozen products may be identified by any of the following Julian codes: 0264 through 0365, 1001 through 1365, and 2001 through 2293. The problem was discovered by the company during a label audit. When the company reformulated their products, it discontinued the use of a spice blend containing MSG and removed MSG from the ingredient list on the label. During the label audit, the company discovered that the individual establishments were still using a spice blend containing MSG. MSG is not classified as an allergen, but can cause a reaction in people with a sensitivity to MSG. Consumers with questions about the recall should call the company’s guest relations line at 1-800-939-2338. Gilster-Mary Lee of Chester, IL, is recalling one lot of Fruit Whirls cereal because it contains undeclared almond butter. People who have an allergy or severe sensitivity to almonds run the risk of serious or life-threatening allergic reaction if they consume these products. The company says it became aware of the mis-packaging after receiving a customer complaint. 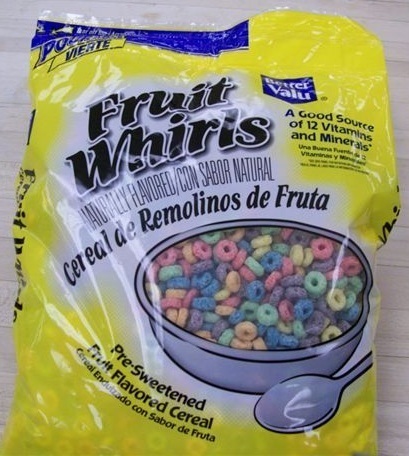 An investigation confirmed some bags of the Fruit Whirls inadvertently contained Honey Nut Toasted Oats cereal. No illnesses have been reported in connection with this cereal. The only brand involved is Better Valu Fruit Whirls Ready to Eat Cereal, packaged in 28-oz. plastic bags which has a Best By date of JUL 17 13 J8 (UPC# 79801-24630). The code is located on the lower left corner of the back of the package, below the Nutrition Facts and Ingredient Declaration Panel. Consumers should return the product to the store for a full refund or discard it. The product was distributed between July 24, 2012, and October 16, 2012, to retail stores in Florida, Georgia, Kentucky, Louisiana, North Carolina, Ohio, Oklahoma, Pennsylvania, South Carolina, Tennessee, Texas, Virginia and West Virginia. Consumers with questions, may call Gilster-Mary Lee Corp. at 618-826-2361 ext. 3283 or 417-781-7777 ext. 4835 from 8:00 am to 4:30 pm CDT, Monday through Friday. Publix Super Markets is recalling 11oz. Publix Premium Frozen Tempura Shrimp. The company discovered during internal product evaluations that the dipping sauce packet included with the product contains soy that is not declared on the packaging. People who have an allergy or severe sensitivity to soy run the risk of a serious or life-threatening allergic reaction if they consume products containing soy. No illnesses have been reported to date. Anyone with additional questions may call Publix’s Customer Care Center at 1-800-242-1227 or contact the U.S. Food and Drug Administration at 1-888-SAFEFOOD (1-888-723-3366). 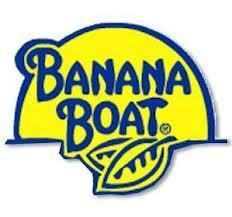 Banana Boat Ultra Mist Sport Performance SPF 50+ Spray 9.5oz. There is a potential risk of the product igniting on the skin if contact is made with a source of ignition before the product is completely dry. Energizer says it believes the problem is associated with the product delivery system -- specifically the size of the spray valve opening on the affected product, which dispenses more than is typical in the industry for continuous sun care sprays. As a result, the product takes longer to dry on the skin than is typical with other continuous sprays. If a consumer comes into contact with a flame or spark prior to complete drying of the product on the skin, there is a potential for the product to ignite. Energizer is notifying its retail partners to stop selling the product. The company says it has received four reports involving burns associated with the use of the Banana Boat SPORT Ultramist SPF 30 and 50 products in the U.S., and one in Canada. Energizer says it believes it has identified the cause of this safety concern and expects to offer new Banana Boat continuous spray products shortly. Consumers who have purchased any of the above listed products are advised not to use them. Those with questions or complaints regarding can contact Energizer by calling Consumer Affairs at 1-800-SAFESUN (1-800-723-3786) Monday through Friday, 8:00AM to 7:00PM Eastern, or by sending an email to: SUNCARE@customerfollowup.info. These over-the-counter products were distributed nationwide to wholesalers and retailers from January 2010 through September 30, 2012. 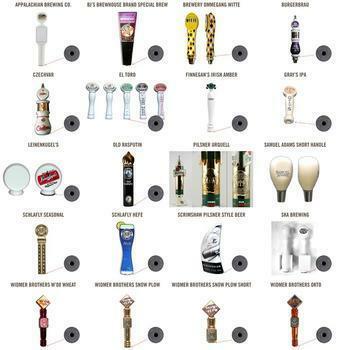 Taphandles of Seattle, WA, is recalling about 24,000 ceramic beer tap handles which can break during normal use, posing a laceration hazard to consumers. This recall involves ceramic beer tap handles sold in 25 custom-made designs. "Taphandles Inc." and "Made in China" are engraved on the gray metal base of the tap handle. There have been no reports of incidents or injuries. The tap handles, made in China, were sold directly to breweries from November 2002 to May 2006 for between $10 and $23. Consumers may contact Taphandles toll-free at (877) 855-6383 9 a.m. through 5 p.m. PT Monday through Friday. The clothing, manufactured in Pakistan, was sold exclusively at Target stores nationwide and Target.com from October 2011 through December 2011 for approximately $18. For additional information, consumers should contact Children's Apparel Network at (800) 919-1917 between 9 a.m. and 4 p.m. CT Monday through Friday. Ford is recalling 154,604 model year 2011-2013 Fiesta vehicles, manufactured from November 3, 2009, through September 21, 2012, which fail to comply with Federal Motor Vehicle Safety Standard (FMVSS) No. 208, "Occupant Crash Protection." The passenger side curtain air bag will not deploy in the event of a side impact collision when the front passenger seat is empty. Although the side curtain air bag system was designed to suppress the side curtain air bag under this scenario, that information is not explained in the owner's guide for these vehicles as required by FMVSS No.208. Ford will notify owners and dealers will reprogram the vehicle's software free of charge so that it no longer suppresses the passenger side curtain air bag when the front passenger seat is empty, and consistent with the description in the owner's guide. The safety recall is expected to begin shortly. Owners may contact Ford at 1-866-436-7332. Mondelēz Global is recalling Green & Black’s Organic Peanut & Sea Salt Milk Chocolate Bar. The product contains peanuts supplied by Sunland, which has expanded its nationwide recall for peanuts that have the potential to be contaminated with Salmonella. This recall is limited exclusively to the Green & Black’s Organic Peanut and Sea Salt Milk Chocolate Bar (UPC 708656100562, 3.5 oz. bar, all “best by” dates) manufactured and sold only in the United States, available at retail and specialty stores nationwide. There have been no complaints of illness and no other Green & Black’s product is included in this recall. Consumers who have this product should not eat it, and should discard any products they may have. Consumers can contact the company at 1-855-268-7808 24 hours a day to get more information about the recall. 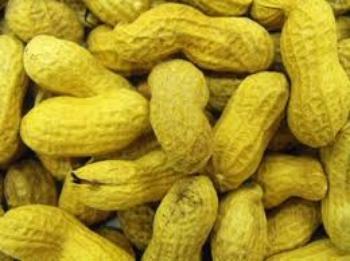 Hines Nut Company is recalling its Salted Jumbo Virginia In-Shell Peanuts that were processed in the Sunland Peanut Processing Plant and may be contaminated with Salmonella. The product is within its current shelf life or has no stated expiration date. The Salted Jumbo Virginia In-Shell Peanuts available to retail customers were distributed under the Hines or Dollar General Clover Valley label. They were also distributed nationally to numerous large supermarket, grocery and retail chains. The recalled product was distributed during the six month period prior to the recall date (April 12, 2012 – October 12, 2012), and will have best by/expiration dates on the packaging from October 12, 2012 through August 27, 2013. The lot number information can be located on the fourth line of the “Packing Information’ printed in black on the package. The Hines package is a cello/poly laminated bag, predominately blue, with a yellow label stating ‘Salted Jumbo Virginia Peanuts’ packed as 8 oz., 10 oz., 12 oz., 16.oz. and 24 oz. Hines also packages three ‘theme’ cello/poly laminated bags that are 5.5oz each. Hunting Season -- with a camouflage motif on the front of the bag. The Dollar General Clover Valley package is a cello/poly laminated bag, predominately white with red trim and red lettering. These bags are packaged as 8oz bags. S03718, S03699, S03724, S03753, S03765, S03784, S03798, S03806, S03810, S03824, S03826, S03840, S03863, S03886, S03907, S03928, S03933, S03938, S03950, S03958, S03967, S03972, S03978, S03989, S03991, S04012, S04025, S04042, S04054, S04066, S04097, S04109, S04123, S04134, S04141, S04141, S04165, S04200, S04201, S04211, S04229, S04236, and S04247. To date, the company has not received any complaints concerning illness on any of these lot numbers. Consumers who have purchased any of the recalled products are urged not to eat them and to return products to the place of purchase for a full refund or dispose of them immediately. The “Best-If-Used-By” date or product expiration date is printed on the packaging. Consumers can contact the company 24-hours-a-day at 1 800-561-6374 for information regarding this recall. JagRma of San Diego is recalling its 16oz NuttZo Original (Blue Label/UPC code 894697002030) manufactured in Oct and November 2011 with "Best Buy Dates 10/7/12-12/31/12 stamped on lid or bottom of jar," because it has the potential to be contaminated with Salmonella. NuttZo Original (Blue Label/UPC code 894697002030) was distributed from October 2011-February 2012 with 'Best Buy Dates 10/7/12- 12/31/12'. It was distributed through natural grocery retail stores in Connecticut, New Jersey, New York, Louisiana, Texas, Arkansas, Oklahoma, Nevada, California, Arizona, Hawaii and through mail order in 50 states. JagRma LLC was notified by one of its suppliers, Multiple Organics, of a secondary recall for Sunland Inc peanuts going back as far as March 2010. Sunland peanuts were used in the production run of NuttZo Original (BLUE LABEL) in October and November of 2011. Best Buy Dates of 2013 are not affected in this recall. Anyone with questions should call 858-354-8429; 9am-5pm PST; Monday through Friday. S & P Company, Limited of Paramount, CA, is recalling 150 cases/1,800 jars of Su-nun Crush Roasted Thai Red Pepper, because it has the potential to be contaminated with Salmonella. 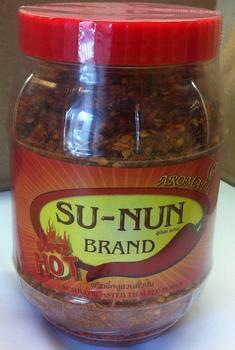 The Su-nun Brand Red Pepper was distributed in grocery stores in the Los Angeles area between July and October 2012),including Bell and Long Beach, Rockford, IL, Phoenix, AZ, Omaha, NE, and Brooklyn, NY. The Su-nun Brand Red Pepper ‘Super Hot’ 10.58 oz. is in Flake form and packaged in a clear plastic jar with a red plastic screw-on lid. There is a clear plastic heat shrink and red and yellow label. Bar code 659613000770. The recall was as the result of a routine sampling by the Food and Drug Administration (FDA), which revealed that the finished products contained the bacteria. 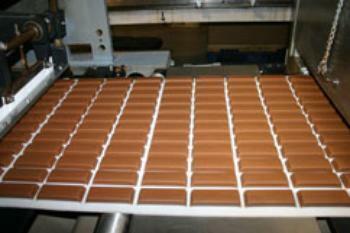 The company has ceased production and distribution of the product as FDA and the company continue their investigation. Consumers who have purchased Su-Nun Brand ‘Crush Roasted Thai Red Pepper’ are urged to return it to the place of purchase for a full refund. Those with questions may contact the company at (562) 220-2666 between 10am and 4pm (Pacific Time Zone) Monday-Friday. Ask for John. Creative Energy Foods (CEF) is recalling Crunch thinkThin nutrition bars which may contain blanched roasted peanuts supplied by Sunland. The decision was made as the result of the expanded recall of peanut butter, nut butters and peanut products by Sunland because of potential contamination with Salmonella. No illnesses associated with any of these products, which were distributed at retail chain stores nationwide from March 2010 to October 12, 2012. Consumers who have any products covered by this recall should dispose of them. Anyone with questions about the recalled products is urged to contact CEF Monday through Friday, 8:00AM – 4:30PM Pacific Time at 510-567-1200, extension #1. The Best-By-Dates for the recalled products can be found on the back of the package, under the seal. The Raymond-Hadley Corp. of Spencer, NY, is expanding the recall of Wegmans Gluten Free Double Chocolate Brownie Mix. The mixes may be contaminated with the undeclared allergen -- milk. People who have an allergy to milk run the risk of serious or life-threatening allergic reaction if they consume these products. 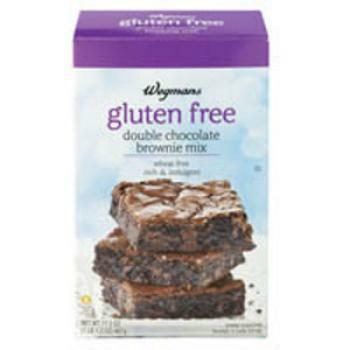 Wegmans Gluten Free Double Chocolate Brownie Mix 17.2 OZ, UPC 077890283363, to include Enjoy By Dates from 30 Oct 2013 – 17 Mar 2013. The recall was issued after it was discovered that chocolate chunks used in the mix were received in packaging that did not reveal the presence of milk. Subsequent investigation confirms milk as a possible cross-contaminate in the chocolate chunks used in the brownie mixes. Consumers who have purchased the product listed above are urged to return it to Wegmans for a full refund. Anyone questions may contact the manufacturer at 1-800-252-2220, Monday – Friday 8:00am – 4:30pm EDT. 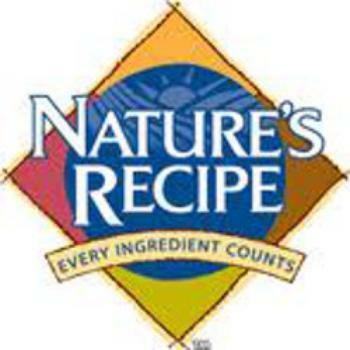 Nature’s Recipe brand is recalling a limited supply of Nature’s Recipe Oven Baked Biscuits with Real Chicken, manufactured in one of its U.S. production facilities. The product has the potential to be contaminated with Salmonella, which can affect animals eating the products and there is risk to humans from handling contaminated pet products. Nature’s Recipe Oven Baked Biscuits with Real Chicken is sold in 19-ounce stand-up resealable pouches. Product and product lots that do not appear above are not subject to this recall. Consumers who have purchased the above lots of Nature’s Recipe Oven Baked Biscuits with Real Chicken should stop feeding the product and discard immediately. For further information about the recall and for instructions on obtaining replacement product, consumers can call the Consumer Hotline, 24 hours a day, at 800-237-3856. 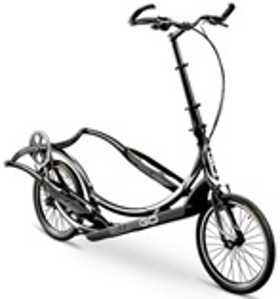 ElliptiGO of Solana Beach, CA, is recalling about 140 ElliptiGO 11R outdoor elliptical cycles. The drive arm on the cycles can crack or break during use, posing a fall hazard to the user. The company has received three reports of the drive arm cracking. No injuries have been reported. The ElliptiGO 11R is an outdoor elliptical cycle used by adults for exercise. It is a scooter-like device that combines an elliptical trainer with a bicycle. The ElliptiGO 11R has an aluminum frame, carbon-fiber drive arms, two 20" spoked-wheels, an 11-speed internally geared hub, front and rear brakes and adjustable height steering column. Only ElliptiGo 11R cycles with serial numbers that range from 12-003-069 through 12-020-035 are included in the recall. The serial number is located underneath the product to the rear of where the kickstand attaches to the frame. The cycles are matte black with white markings and the words ElliptiGO on the frame. The cycles, manufactured in Taiwan, were sold by ElliptiGO online and at various specialty bicycle and specialty fitness retailers nationwide from April 2012 through July 2012 for about $3,500. For additional information, contact ElliptiGO toll-free at (888) 551-0117 between 12 p..m. and 8 p.m. ET Monday through Friday. 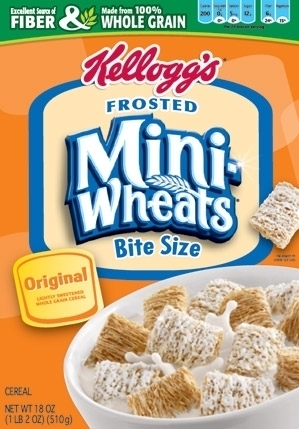 Kellogg's is recalling Frosted Mini-Wheats Bite Size Original and Mini-Wheats Unfrosted Bite Size with the letters KB, AP or FK before or after the Best If Used Before date. The recall is due to the possible presence of fragments of flexible metal mesh from a faulty manufacturing part. Consumers with affected product or who have questions may call Kellogg at 800-962-1413 from 8 am to 6 pm Eastern Time, Monday - Friday. Four Seasons Dairy of Brooklyn, NY, is recalling Herring Fillets "Atlantic Recipe" in oil in 16.66 ounces/500g because it may be contaminated with Listeria monocytogenes. The product comes in a 16.66 oz/500g clean plastic tub with an expiration date of 12/11/12 stamped on the bottom. 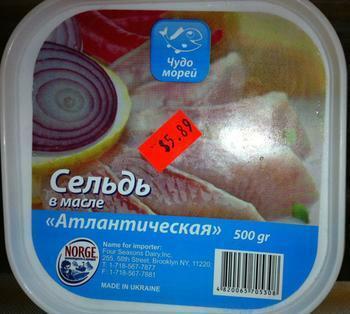 The recalled herring fillets were distributed nationwide and are a product of the Ukraine. The contamination was discovered after sampling by New York State Department of Agriculture and Market Food Inspectors and subsequent analysis by Food Laboratory personnel revealed the presence of Listeria monocytogenes. Consumers who have purchased 16.66oz/500g of Herring Fillets "Atlantic Recipe" in oil are advised not to eat them, but should return them to the place of purchase. Those with questions may contact the company at 718-567-7877. 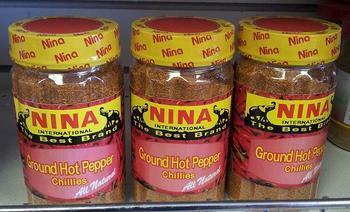 Nina International of Hyattsville, MD, is recalling its brand of Ground Hot Pepper, 5 oz., because it has the potential to be contaminated with Salmonella. Ground Hot Pepper was distributed in MD, Washington, DC and VA and reached consumers through African and ethnic retail food stores. The product is in a 5.oz., clear plastic container, and inscribed with “Nina International, The Best Brand” and “Ground Hot Pepper, Chillies, All Natural.” It has a yellow seal with a red “Nina” inscription and the barcode is 745851004004. No related illnesses have been reported to date in connection with this problem. The recall was as the result of a routine testing program that revealed that the finished products contained the bacterium. The company has ceased the distribution of the product as it continues to identify the source of the problem. 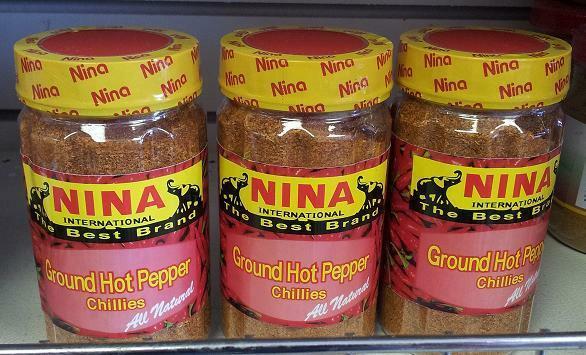 Consumers who have purchased Nina International Ground Hot Pepper are urged to return it to the place of purchase for a full refund. Atomi of New York is recalling about 80,000 Sharper Image USB wall chargers, which can overheat and smoke, posing fire and burn hazards to consumers. Atomi has received 13 reports of the chargers overheating, smoking and acrid smells. No injuries have been reported. 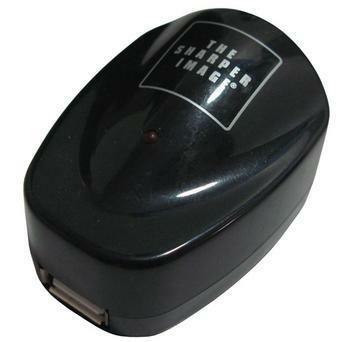 The chargers, manufactured in China, were sold at Burlington Coat Factory, Tuesday Morning and TJ Maxx stores and on various Websites from October 2011 through September 2012 for between $8 and $13. The company can be reached by phone at (800) 790-1440, 9 a.m. to 5 p.m. ET Monday through Friday, or by emailing info@atominy.com. 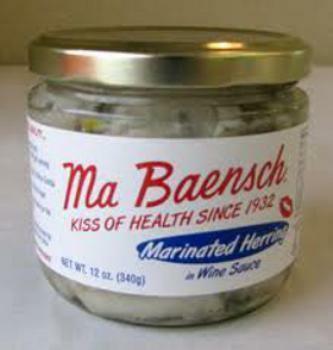 Baensch Food Products of Milwaukee is recalling a single lot code of Ma Baensch Marinated Herring in Wine Sauce because it may contain an undeclared milk allergen. The recall was initiated after the company discovered that, as a result of a labeling error, 144 - 24 ounce jars (12 - 12 count cases) of Ma Baensch Marinated Herring with Sour Cream & Chives were labeled as Ma Baensch Marinated Herring in Wine Sauce. The Ma Baensch Marinated Herring in Wine Sauce label does not reveal the presence of the milk allergen. The product was distributed to select retail stores in Wisconsin and Rockford, Ill. beginning on June 6, 2012. Sell By and Lot Code is printed in black ink on the top of the gold lid. No illnesses have been reported to date in connection with this problem and no other products or lot codes are affected by this recall. Consumers who have purchased the 24 ounce Ma Baensch Herring in Wine Sauce bearing the “best if used by” date of 06NOV12 158 should return the product to the store where it was purchased to receive replacement or a refund. Anyone with questions should contact Baensch Food Products at 414-562-4643. 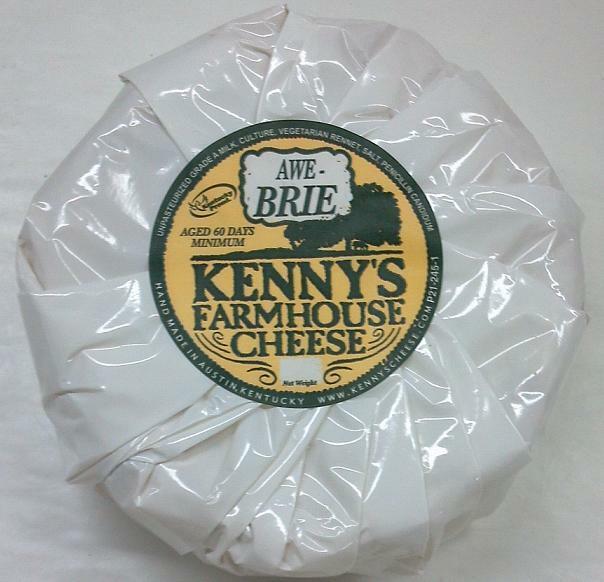 Kenny’s Farmhouse Cheese is voluntarily recalling Kentucky Rose, Kentucky Bleu, Awe-Brie and Tomme de Nena due to possible Listeria monocytogenes contamination. To date, there have been no illness reported. 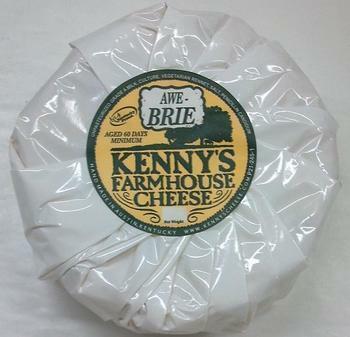 The Kentucky Rose, Kentucky Bleu, Awe-Brie and Tomme de Nena was sold to farmers markets, restaurants, distributors and retail stores in FL, IN, IL, KY, OH, TN and VA between August 22, 2012 and September 25, 2012. Consumers who may have purchased this product should cease consumption and urged to return it to the place of purchase for a full refund. Retailers, distributors and restaurants are urged to cease sales, distribution and use of the named cheeses and to return it to the place of purchase in exchange for a full refund. Buy Buy Baby is recalling about 1,170 pairs of Pink Angel embroidered girls' denim shorts. The decorative studs on the pockets can detach and pose a choking hazard to young children. The company has received one report of the decorative studs detaching from the shorts. No injuries have been reported. 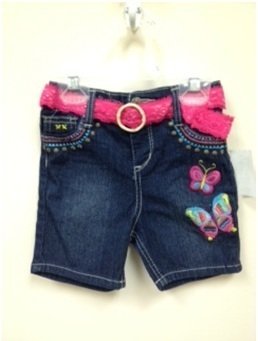 This recall involves "Pink Angel" branded embroidered denim shorts for baby girls and toddlers in sizes 12M to 4T. The shorts come with a bright pink lace belt and feature two embroidered butterflies on the left front panel with decorative studs attached to the front and rear pockets. Style numbers B91540 or B11540 can be found on the hangtag of the shorts. The shorts, manufactured in China, were sold at Buy Buy Baby retail locations from January 2012 to July 2012 for about $10 to $12. Customers who have purchased this product should immediately stop using the clothing. Consumers may return the product to any Buy Buy Baby location for a full refund. Consumers can contact Buy Buy Baby toll-free at (877) 328-9222 any time. 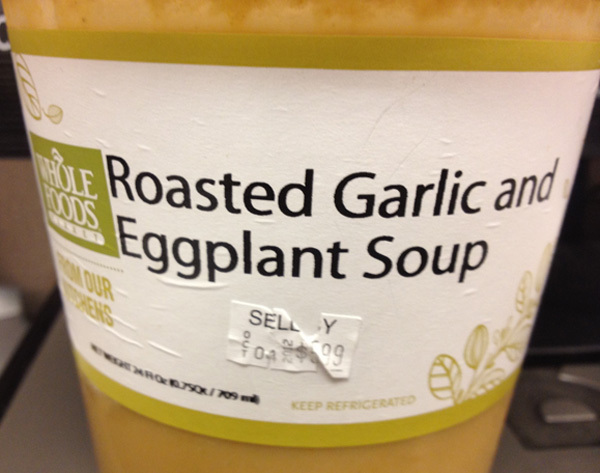 Whole Foods Market is recalling soup sold in all stores in six states due to mislabeling. The Whole Foods Market Kitchens soup, labeled as Roasted Garlic and Eggplant Soup, was in fact Lobster Bisque, which poses the risk of serious or life-threatening allergic reaction if consumed by customers with a shellfish or milk allergy. The soup was sold in 24 oz. containers from Whole Foods Market stores in Massachusetts, Rhode Island, Maine, Connecticut, New York and New Jersey, between September 29 and October 2, 2012. The label includes a sell-by date of October 4, 2012. Signs are posted in affected Whole Foods Market stores to notify customers of this recall. All affected product has been removed from shelves. 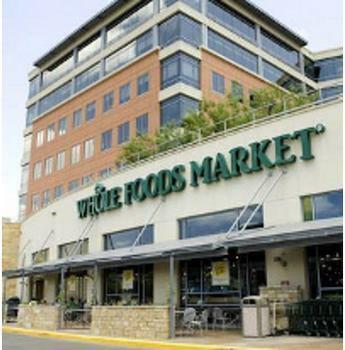 Consumers who have purchased this product from Whole Foods Market may return it to the store for a full refund. Those with questions should contact their local store or call 617-492-5500 between the hours of 9am and 5pm EST. Kubota Manufacturing of America of Gainesville, GA, is recalling about 970 off-road utility vehicles. Carbon monoxide can accumulate in the vehicle cab when the engine is idling and the vehicle is not moving, resulting in carbon monoxide poisoning. Two instances of headaches attributed to carbon monoxide gas have been reported to the firm. 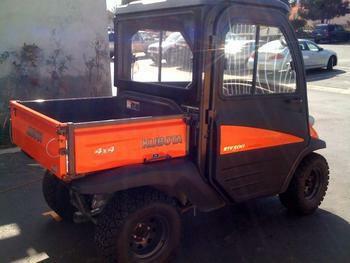 The recalled vehicle is the Kubota RTV500 with a cab. It is a 4x4 utility vehicle with side-by-side seating for two people, a small cargo bed and an optional cab. The vehicle is gasoline-powered and available in orange or camouflage. The model number "RTV500" is on the doors of the vehicle. "Kubota" and "4x4" are on the outside of the cargo bed. The vehicles, manufactured in the U.S., were sold at authorized Kubota dealers nationwide from September 2008 through April 2012 for between $12,900 and $13,200. For more information, consumers can contact Kubota toll-free at (800) 752-0290 between 8:30 a.m. and 4:30 p.m. PT Monday through Friday. Kubota is contacting its customers directly. Haier America Trading of New York is recalling about 5,000 Haier 42-inch LED TVs. The TV stand's neck support can break and cause the TV to tip over, posing a risk of injury to the consumer. There are 184 reports of the TV stand's neck cracking or breaking. No injuries have been reported. This recall involves Haier 42-inch LED TVs with model number LE42B1380. "Haier" is printed on the front of the TV and the model number is printed on a label on the back of the unit. The TVs, made in China, were sold at Fry's Electronics and other retail stores nationwide and online at Amazon.com and other online retailers from September 2011 through March 2012 for about $450. Consumers should immediately stop using and detach the TV from the stand and keep both the TV and the base in a safe location. Consumers should contact Haier America to request a free replacement stand neck to be used with the original base. Consumers with a wall-mounted TV may continue to use it but should request a free replacement stand neck in case the TV is used with the stand in the future. For more information, contact Haier America toll-free at (877) 813-8516 between 7 a.m. and 10 p.m. ET Monday through Friday, between 8 a.m. and 9 p.m. ET Saturday and between 8 a.m. and 8 p.m. ET Sundays. Fitness Anywhere of San Francisco is recalling about 40,000 Suspension Trainer devices. The strap length-adjustment buckles can break, posing a fall hazard. The company has received 570 reports of the buckles breaking with 82 reports of the user falling, including 13 reports of head, face, shoulder and hip injuries. This recall involves older model "Professional" (P1) and "Tactical" (T1) TRX Suspension Trainer devices manufactured in China between January 2006 and July 2007. 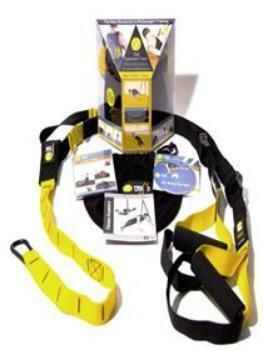 The recalled products' anchor straps are yellow or khaki nylon with a carabiner at the top end and a black nylon loop on the bottom end. A black and yellow or black and khaki nylon strap is threaded through the black nylon loop on the anchor strap to form a "Y." On each side of the "Y," the strap has a cam buckle, which is used to adjust the length of the straps. Each end of the "Y" strap has a foam-covered hand grip and a foot cradle. The recalled devices have hand grips with no end bumpers, which are black plastic caps covering the ends and preventing the plastic under the foam from being exposed. They do not have an extra nylon loop, called a locking loop, attached at the point where the anchor strap and the "Y" straps are joined and designed to limit the slippage of the straps. The recalled products also have badges on the straps with the TRX logo and the word "Professional" (for P1 devices) or "Tactical" (for T1 devices) on them. The words and logo are surrounded by raised dots or have double lines through them. The product was sold at health and fitness stores and studios nationwide and online at www.FitnessAnywhere.com from January 2006 through December 2009 for about $150 to $200. Consumers should immediately stop using the recalled product and contact Fitness Anywhere to arrange to return the recalled product for a replacement TRX Suspension Trainer device. Return authorization is required prior to returning the units. For additional information, contact Fitness Anywhere toll-free at (888)-221-7417 between 9 a.m. and 5 p.m. PT or CustomerCare@trxtraining.com. 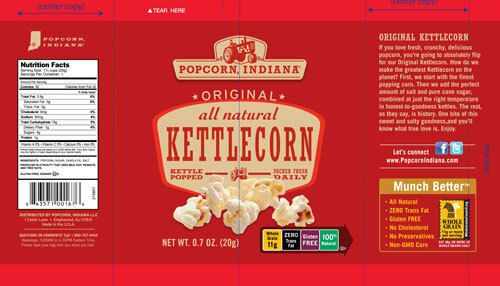 Dale and Thomas Popcorn is recalling a limited number of ready-to-eat bags of select flavors of Popcorn, Indiana-brand popcorn products (listed below) because of possible contamination by Listeria monocytogenes. Products involved in the recall should not be consumed and may be returned to the point of purchase for a full refund or replacement. The recalled products were distributed to various retailers, vendors, distribution centers, and consumers through the Internet on or after August 8, 2012 with Best By dates of February 4, 2013 through March 12, 2013. All recalled products were packaged in red bags of various sizes. Consumers can tell if they have purchased an affected product by looking at the Best By date located in the front, top right corner of the package and the Bag UPC (Code) located in the nutritional panel found on the back, bottom left corner of the package. 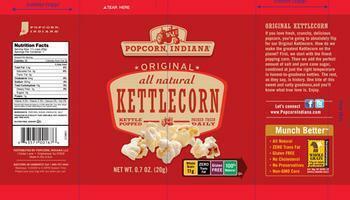 All other Popcorn, Indiana-brand products are safe to consume. The potential for contamination was noted after testing by the company revealed the presence of Listeria monocytogenes in some ready-to-eat bags of Popcorn, Indiana-brand products. Consumers with recalled product(s) should contact Dale and Thomas’ dedicated recall hotline (866) 940-7936 Monday through Friday 9:00 a.m. to 4:30 p.m. Eastern Time, or email the company at: recall@daleandthomaspopcorn.com. 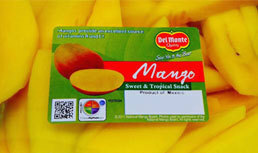 Del Monte Fresh Produce N.A., is recalling a limited quantity of certain fresh-cut fruit packages containing mangoes distributed to retail outlets due to the potential risk that the mango may contain Salmonella. This recall is associated with the Coast Distributors, Inc. mango sourced from Agricola Danielle in Mexico. It does not involve any product grown in Del Monte owned farms. The product was distributed by retailers in Alabama, Arkansas, Florida, Georgia, Kentucky, Louisiana, Mississippi, Missouri, North Carolina, Puerto Rico, South Carolina and Tennessee. The products being recalled are in clear plastic bowls and are listed below. There have been no reported illnesses attributed to the items listed in this recall. Retailers who have received the recalled product have been directed to remove it from their store shelves. Consumers who purchased affected products listed in the table below should not consume them and should destroy or discard them. Consumers with questions may contact the company’s 24 hour consumer hotline at 1-800-659-6500 or email Del Monte Fresh at Contact-US-Executive-Office@freshdelmonte.com. Whole Foods Market is recalling Peanut Butter Power Chews and Treasure Trove Mix, both sold as bulk items, in seven stores in Florida and one store in southern California due to possible Salmonella contamination. These products were sold from self-serve bulk bins between May 1 and September 27, and have no label. No illnesses have been reported related to the bulk bin items. This recall is in response to a recall by Sunridge Farms/Falcon Trading who was supplied peanut butter by Sunland. Signs are posted in Whole Foods Market stores to notify customers of this recall. Consumers who have purchased bulk Treasure Trove Mix or Bulk Sweets Mix containing peanut butter power chews in the stores listed above should discard them, and may bring their receipt to the place of purchase for a full refund. Consumers with questions should call 512-542-0060 Monday to Friday 9:00am to 5:00pm CDT. Grand BK of Maspeth, NY, is recalling 7oz. units of Black & Mix Crisp and Crisp Mix packaged in a plastic container, because it may contain peanuts. People who have an allergy or severe sensitivity to peanuts run the risk of serious or life threatening allergic reaction if they consume these products. The Black Mix Crisp and the Crisp Mix were distributed to retail stores in New York and New Jersey. The product has a transparent, plastic, 7ounce container (ts24,), with the brand name ‘goodies by nature’. The item names are ‘black mix crisp’ and ‘crisp mix’. There are multiple expiration dates associated with this product. All product sold prior to July 27, 2012 is subject to this recall. The recall was initiated after it was discovered that the peanut-containing product was consumed by a customer who had an allergic reaction to the product. This is the only incident associated with this product to this date. 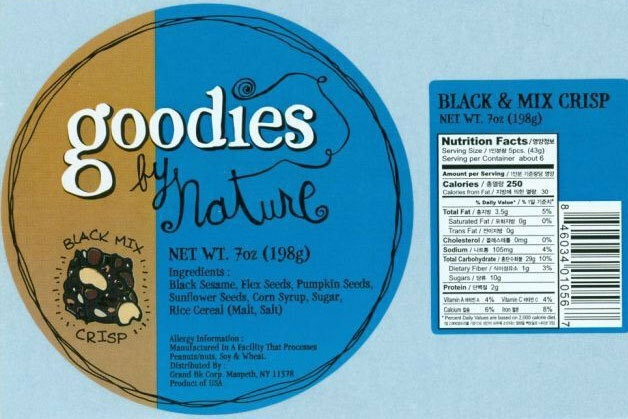 Consumers who have purchased ‘goodies by nature’ brand before July 27, 2012, are urged to return it to the place of purchase for a full refund. Consumers with questions may contact the company at 718-417-5607. Publix Supermarkets is recalling 10 ounce plastic bags of Publix Hearts of Romaine (Chopped Hearts of Romaine) because they may be adulterated with Lysteria monocytogenes. Ready Pac is the private supplier of the private label product for the company. The UPC found on the back right hand corner of the package is 41415 03886. The product was distributed to Publix stores from September 8,2012, through September 20, 2012, in select Florida counties, Georgia, South Carolina, Alabama, and Tennessee. The following Florida Counties are affected by the recall: Alachua, Baldwin, Bay, Beaufort, Bryan, Camden, Chatham, Clay, Coffee, Columbia, Dougherty, Duval, Escambia, Flagler, Glynn, Houston, Jasper, Lee, Leon, Lowndis, Marion, Nassau, Okaloosa, Putnam, Santa Rosa, St. Johns, Suwannee, Thomas, Tift, Volusia and Walton. No illnesses have been reported up to date. Consumers who have purchased the products in question may return them to their local store for a full refund. Publix customers with additional questions may call Customer Care Center at 1-800-242-1227. Nissan is recalling 2,417 model year 2012 Frontier, Pathfinder and Xterra two-wheel drive vehicles manufactured from June 19, 2012, through July 12, 2012. These vehicles may have been equipped with front wheel hubs that may not meet the design hardness specifications. A wheel hub that was manufactured below hardness specification may wear prematurely and eventually crack. If the vehicle is driven in this condition, the wheel hub may break, possibly resulting in a vehicle crash. Nissan will notify owners, and dealers will replaced the left and right side front wheel hub assemblies free of charge. The safety recall is expected to begin on, or about October 8, 2012. Atomic Aquatics of Huntington Beach, CA, is recalling about 4,200 Cobalt dive computers -- 4,000 of them in the U.S., and 200 in Canada. The unit can leak and cause the lens of the computer to blow off suddenly, which could result in impact injuries, and can cause a gas leak, posing a drowning hazard. The firm has received 23 reports of leaks caused by the lens being forcefully expelled from the computer due to excess air pressure inside the computer. No injuries were reported. This recall involves Atomic Aquatics brand Cobalt dive computers. These handheld, console-style dive computers have LCD screens and four magnetic control buttons located below the screen. A fitting at the bottom of the computer connects to the high pressure hose of a scuba diving regulator. The name Atomic Aquatics logo is imprinted on the front of the console, below the screen. The recalled products can be identified by the manufacture dates, which are determined by the first four numbers of the serial number with the first two digits signifying the week of manufacture (01 through 52) and the second 2 digits signifying the year of manufacture (10, 11 or 12). The dates of manufacture are between May 31, 2010 and April 16, 2012. Serial numbers, 2210-XXXX through 1612-XXXX, can be found by scrolling to the "System Info" screen on the computer. The computers, manufactured in the U.S., were sold at authorized Atomic Aquatics dealers from November 2010 through July 2012 for about $1200. 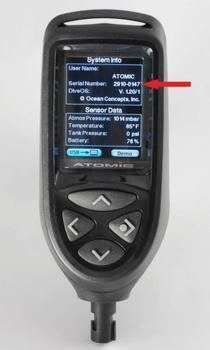 Consumers should immediately stop using the recalled dive computers and return the unit to either an authorized Atomic Aquatics dealer or the Atomic Aquatics factory for inspection and repair. For additional information, contact Atomic Aquatics toll-free at (888) 270-8595 between 8 a.m. and 5 p.m. PT Monday through Friday or email the firm at sales@atomicaquatics.com. Foster Farms of Demopolis, Ala. , is recalling approximately 16,576 pounds of corn dog products because of misbranding and an allergen -- milk -- that is not declared on the label. 2.67-lb. 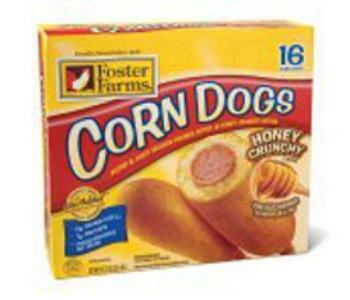 pound, 16-count packages of "Foster Farms Honey Crunchy Corn Dogs." The recalled products bear the establishment number "P-7322" ink-jetted on each box and a use-by date of "July 2, 2013", and a time stamp between 06:30 and 08:30. They were produced on July 2, 2012, and were shipped to retail stores in the southeast United States. The problem was discovered as a result of a customer complaint about the product being mislabeled and may have occurred as a result of the product being placed in the incorrect package. There are no reports of allergic reactions to milk due to consumption of these products. Anyone concerned about a reaction should contact a healthcare provider. Consumers with questions about the recall should contact the company's consumer affairs manager, Teresa Lenz, at (209) 394-6914, ext. 4369. Honda is recalling nearly 626,000 vehicles including the model year 2007 and 2008 Acura TL and model year 2003-2007 Accord V6 vehicles. This past May, Honda filed a defect report to recall certain model year 2007 and 2008 Acura TL vehicles. In September, the automaker informed the National Highway Traffic Safety Administration that it was including an additional 573,147 vehicles including certain model year 2003 through 2007 Accord V6 vehicles. The total number of vehicles being recalled is now 625,762. Prolonged under-hood and power steering fluid temperatures may cause the power steering hose to deteriorate prematurely, resulting in cracks and power steering fluid leakage. If this occurs, power steering fluid can leak onto a hot catalytic converter, leading to smoke and possibly an under-hood fire. Honda will notify owners, and dealers will install a new heat resistant power steering hose, free of charge. The original recall began in June 2012, and owners of those vehicles may obtain the free remedy. Sufficient parts are not yet available for owners of the vehicles covered by the September 2012 expansion, but are expected to be available in early 2013. Honda will notify owners of these vehicles beginning on October 26, 2012, and will notify these owners again when parts are available so those vehicles can be brought to dealers for applications of the free remedy. Owners may contact Honda customer service at 1-800-999-1009. General Motors (GM) is recalling 40,859 vehicles, including 2007 Chevrolet Equinox and Pontiac Torrent vehicles originally sold or currently registered in Arizona, California, Nevada, and Texas; 2007 Chevrolet Cobalt, Pontiac G5; Saturn ION vehicles originally sold, or currently registered in, Arizona, California, Florida, Nevada, or Texas; model year 2008 Chevrolet Cobalt and Pontiac G5 vehicles originally sold, or currently registered in, Arizona; and model year 2009 Chevrolet Cobalt and Pontiac G5 vehicles originally sold, or currently registered in, Arkansas, Arizona, California, Nevada, Oklahoma, or Texas. Some of these vehicles have a condition in which the plastic supply or return port on the fuel pump module may crack, which could cause a fuel leak. Should that happen in the presence of an ignition source, there could be a fire. GM will notify owners, and dealers will replace the fuel pump module free of charge. The manufacturer has not provided a notification schedule. Owners may contact General Motors at 1-800-521-7300.